This smaller sized flowering tree provides beautiful large pink flowers in early spring. You can plant this tree around 8 ft. off of the corner of your home. 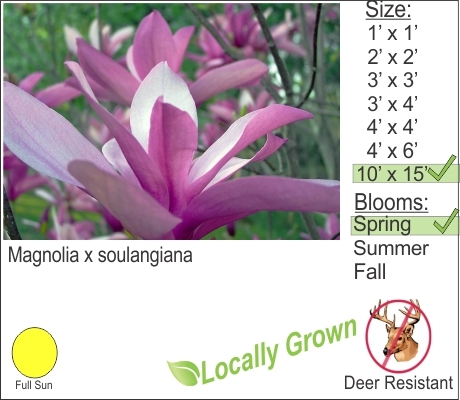 In the spring the Saucer Magnolia will provide you with a beautiful display of fresh flowers.